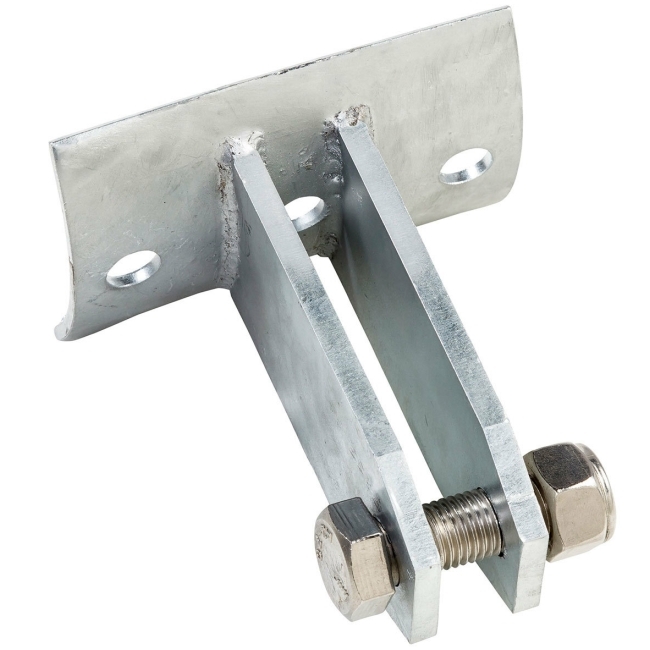 This hot dipped round faced galvanised steel zip wire cable bracket has been specifically designed for use in your zip wire installation with 12mm wire, if you are using a support frame with a round wood crossbar at the receiving end. Suitable for use with 12mm wire that has a thimble eye at one end. It acts as the anchor point on the receiving end crossbar by fastening the thimble eye of your zip wire cable via the bolt. This support bracket has been designed to be used with round timber that has a diameter of between 140mm - 160mm and has been TUV tested to meet and exceed European Safety Standards. 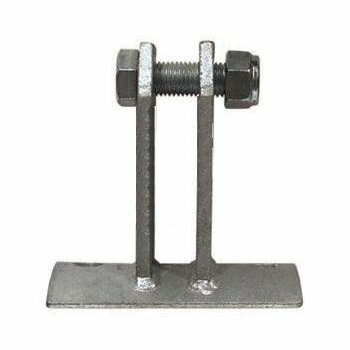 Studding Rod or Fixing bolts are NOT included and are something you will need to buy from a good Hardware store.